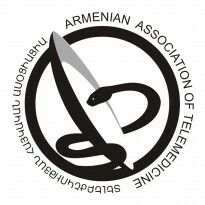 Armenian Association of Telemedicine (AATM) is a non-governmental non-profit professional organization, promoting development of Health ICT (Telemedicine, eHealth, mHealth, Health and Medical Informatics) and other modern Biomedical Technologies in Armenia as well as worldwide. The main activities of AATM are: raising awareness and information sharing, facilitation of stakeholder cooperation, implementation of telemedicine, eHealth and mHealth projects and programs, expert assistance to relevant authorities, and development of educational activities. AATM services: for patients - local (in Armenia) and cross-border (international) teleconsultations, facilitation of treatment abroad; for physicians - collaborative telemedicine (second opinion); for healthcare institutions - setup and operation of telemedicine system (tele-expertise and tele-mentoring), facilitation of telemedicine encounters; for educational and other institutions - facilitation of distance learning encounters (videoconferencing lectures, webinars).